This cranberry orange relish is perfectly sweet and tart, requires no cooking, and is ready in less than 5 minutes. Perfect for Thanksgiving dinner! 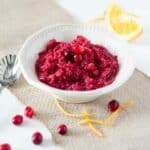 This cranberry orange relish has been a staple in my family at Thanksgiving and Christmas for as long as I can remember. The original version contains refined white sugar, but here I’ve made it paleo-friendly! It’s bright and citrusy, and you can adjust the sweetness to your liking. I like mine a bit tart. It’s best after sitting in the fridge for a day, after the flavors have had time to blend. It’ll keep in the fridge for a couple of weeks thanks to the citric acid, but you can also freeze for later! I love simple, flavorful things like this to liven up a meal. Eating healthy doesn’t have to be boring! 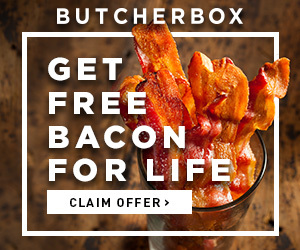 Try it on a paleo biscuit for breakfast, a salad for lunch, or with a pork chop for dinner. We love to make Thanksgiving leftover salads, and this relish can transform a boring salad topped with turkey into something magical. A tart and lightly sweet cranberry-orange relish will brighten your Thanksgiving table and bring a new twist to a classic favorite. 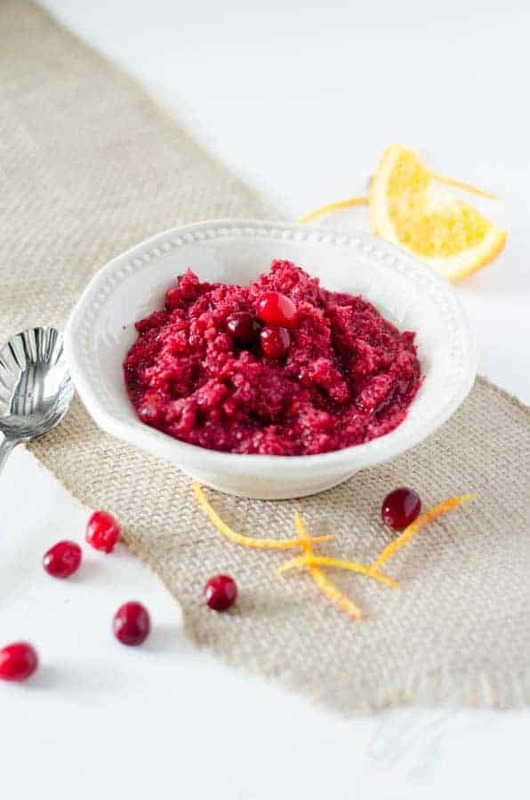 Combine cranberries, orange pieces and honey or maple syrup in food processor and pulse until it becomes relish consistency. Taste and add additional sweetener if desired, small amounts at a time. Store in the fridge for up to two weeks or freeze for up to a year.